Saving the Comtrust from sharks! 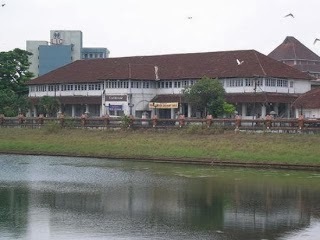 We had raised the issue of the deliberate destruction of one of the most beautiful heritage buildings in the heart of Calicut city ( see our post of March 2009). 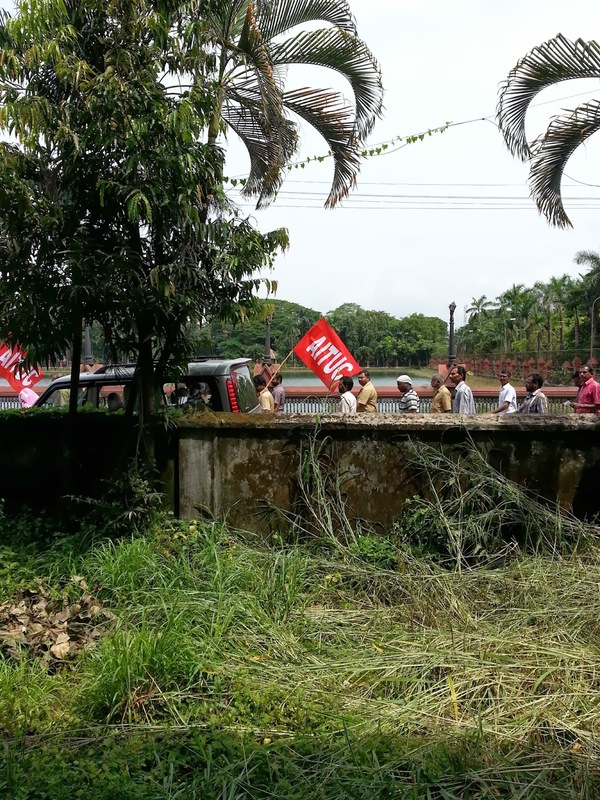 Although we had been lending our feeble voice to those who were opposed to the closure of the factory and the sale of the real estate, we noticed that it did not come to much, as the parties on the opposite side were not only more powerful but were smarter than us. 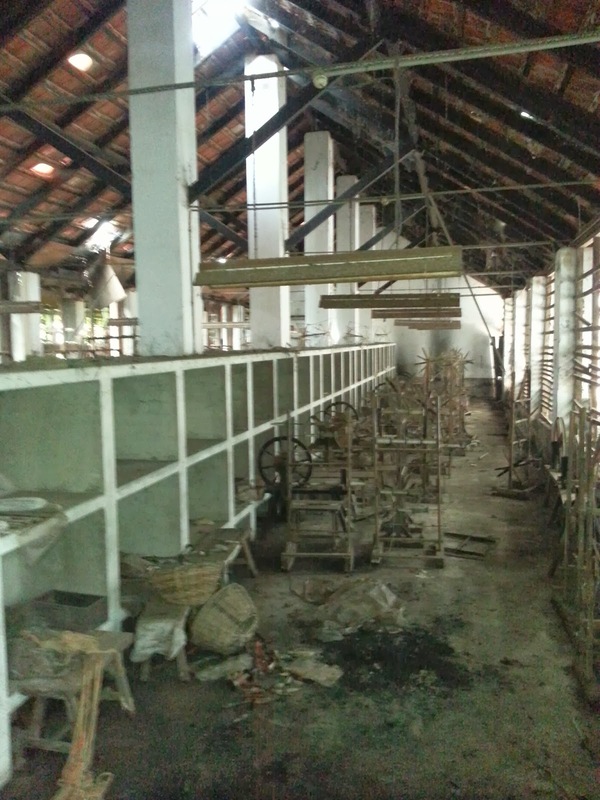 But as we had not lost hope in the rule of law, we petitioned the Chief Secretary, Government of Kerala requesting his intervention in preventing the demolition of this heritage structure which is a living monument to a unique experiment in social engineering through industrialization at a time when the Industrial Revolution was unfolding in England. The Chief Secretary was extremely prompt in asking for a report from the Director Archaeology. 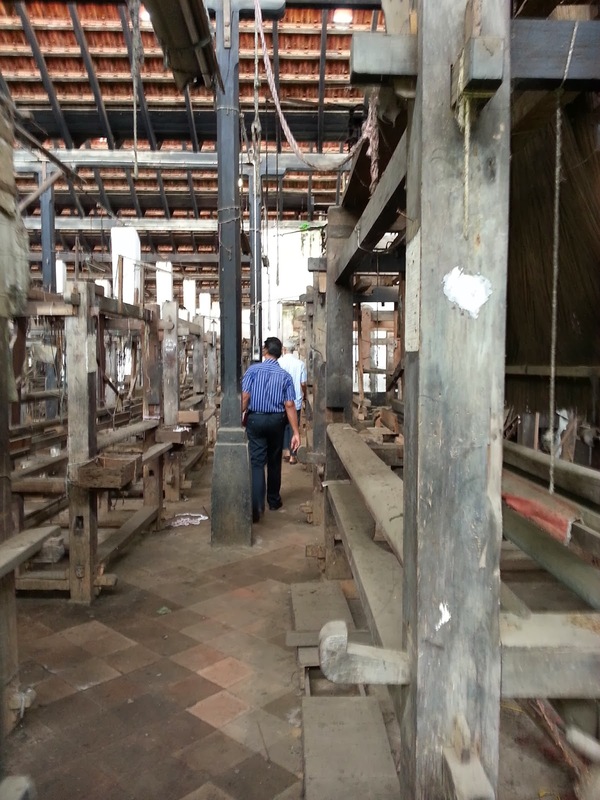 We facilitated the Director's visit to the factory premises in September 2013. What we found inside was heart-rending. 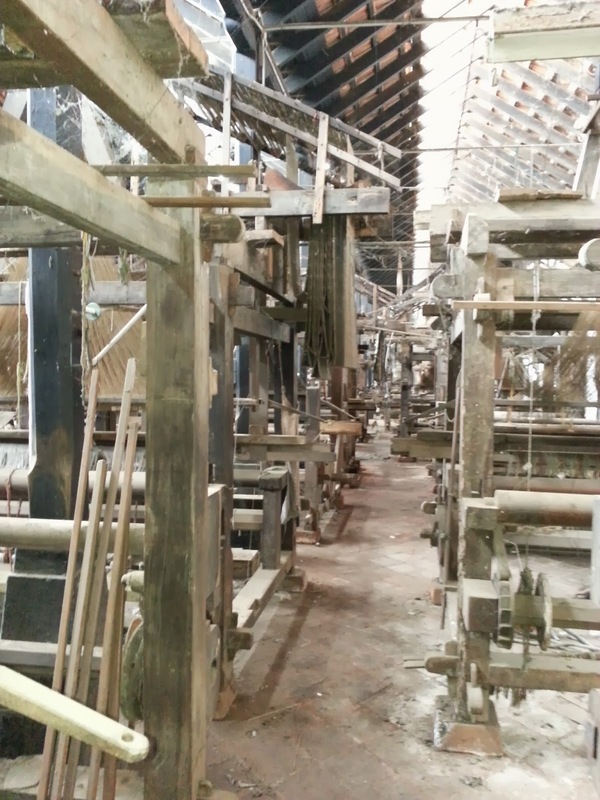 It is difficult to describe the deliberate neglect of machinery and facilities by those whose only aim is to see that the factory is closed down and the land sold for real estate development. We thought our feelings would be best expressed in the following pictures which we took with the permission of the staff in the office. Where possible, we have juxtaposed these with pictures of how these looked when these were installed more than a century ago. We hope the State Government and the Archaeology Department will wake up to the heritage value of the factory and the building! 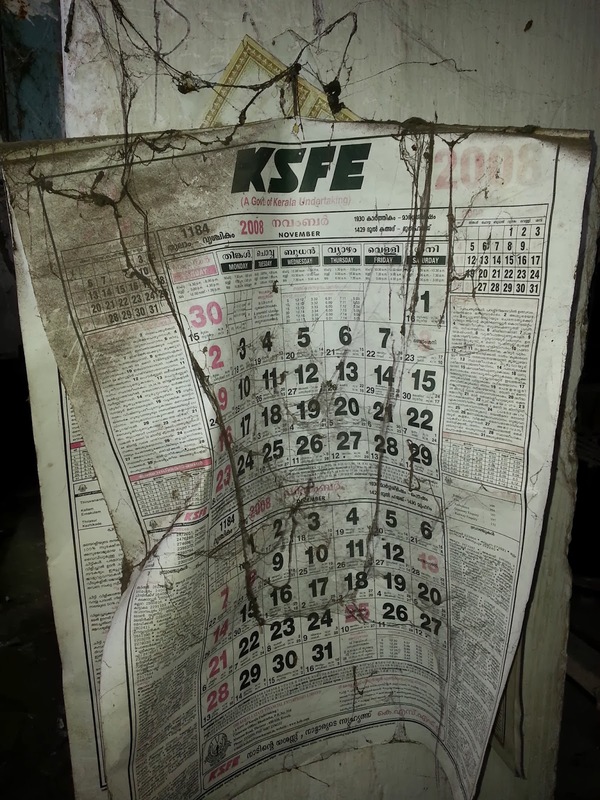 A poignant reminder of the day the factory was closed in 2008- a calendar in the weaving hall which shows the next instalment due for a chit with the KSFE! We are thankful to you for taking interest on this heritage property. Every stone there has a tale to tell. We are on an uphill task, but will not give up. Is it not a contradiction that the so called literate , educated and arrogant Malayali has become the enemy of his cultural landmarks and antiquity? Politicians who are after everything except the interest of the people has become our curse and who are going to protect our interests? The judiciary? Can we plan a people's movement?